As a child, Malala Yousafzai had a prized collection of trophies for her academic achievements, but never in her wildest dreams did she ever think that one day not only would she have an award named after her, the Malala Prize, but she would also add one of the most prestigious awards to her collection: the Nobel Peace Prize. Malala’s childhood bedroom (with her school trophies safely in their case). Though Malala Yousafzai, known worldwide simply by her first name, has become known for her life-threatening gunshot injury and miraculous recovery, as well as for her work in promoting school access for girls, Malala was an outspoken advocate for girls’ education long before that. It all started with her father. 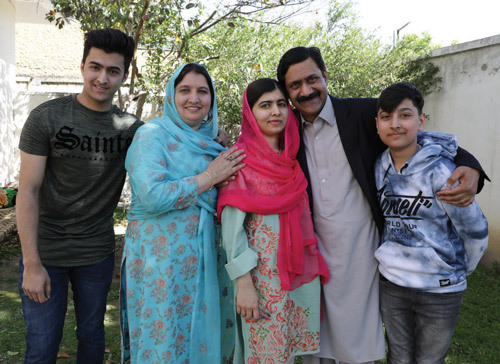 Ziauddin Yousafzai, Malala’s father, was determined to offer educational opportunities to children in Pakistan including girls—which was considered a radical idea in a country where women were expected to stay home and care for families rather than to pursue academics. When Malala was born, he decided to do all he could to make sure she was free to follow her educational aspirations. 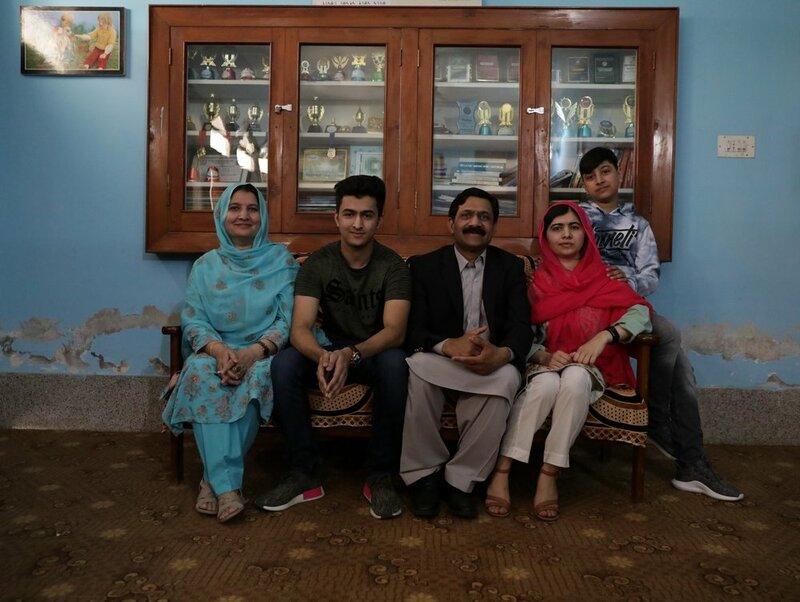 Malala and her family at their home in Mingora for the first time since October 9, 2012. Not only did she follow her dreams, she excelled at nearly everything she set her mind to. She was a talented student, a bold advocate for girls’ education, and a dreamer who wanted to pursue a professional career in medicine. However, it was just these things that her father worked so hard for her to accomplish that also drew the notice and ire of those who wanted to keep her chained to tradition. On the afternoon of October 9, 2012, members of the Taliban tried to permanently extinguish Malala’s voice by attempting to kill her. She was 15 years old, and once again she defied them: she lived. And since being shot, her voice has only become stronger and farther reaching. 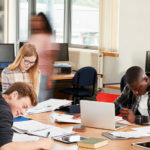 Malala’s message promoting educational opportunities and equality for girls has gone worldwide and enabled her to create a foundation called Malala Fund. She has also received numerous honorary degrees and prestigious awards.